All Vista homes currently listed for sale around ShadowRidge Golf Club are shown below. You can change the search criteria at any time by pressing the 'Change Search' button below. If you have any questions or you would like more information about any Vista homes for sale or other Vista real estate, please contact me and I'd be pleased to assist you. "Seller will entertain offers from $279,000 - $298,000. Don t miss this move in ready ground floor unit in the highly desired Shadowridge Aspens Community! 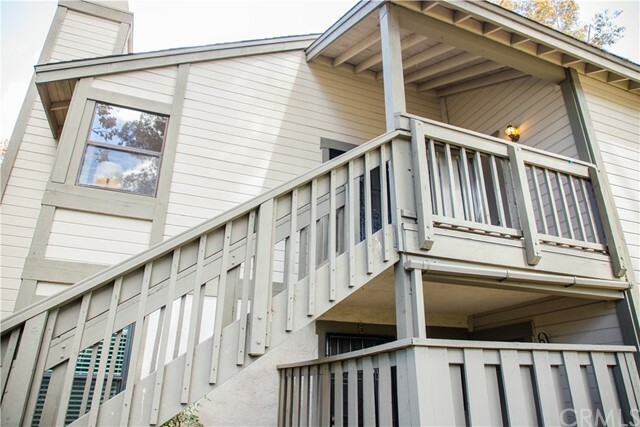 This recently painted 1-bedroom, 1-bath spacious unit features laminate flooring, updated bathroom, in-unit laundry, private patio and 1 car detached garage. The complex is well maintained and offers a pool, spa and clubhouse. Great location in Shadowridge near parks, walking trails, shopping & easy access to HWY 78." "Lovely upstairs 1 bedroom, 1 bath condominium in the highly desirable community of Shadowridge Aspens. Excellent location within this well maintained and beautiful development. Enjoy relaxing, pool side views from the comfort of your own patio, living room and master bedroom. Fresh interior paint throughout, laminate flooring, new vertical blinds throughout, all appliances included and a 1 car detached garage. Please do not miss out on this incredible opportunity." "Beautiful renovated home in the ShadowRidge community. This move-in ready ground level condo features new floors, upgraded dual pane energy efficient windows, gas fireplace, renovated kitchen and bathroom, updated lighting fixtures, ceiling fans and private patio. Unit has a 1-car garage, 1 assigned parking spot and 2 unassigned spots. Complex has a pool and spa. Zoned in the highly desirable San Marcos school district. Near 78 freeway and minutes away from beaches, parks and other popular attra"
"Welcome to this move-in ready residence in the well-established Shadowridge Glen community. The open floorplan features wood look laminate flooring, recessed lighting, crown molding, and fresh paint. The living space has a beautiful tiled fireplace for relaxing and has sliders to access the private terrace. The kitchen has plenty of storage with oak cabinetry, black appliances and tiled counters that open to the living area. The generous Master Bedroom has an ensuite with a tub. The secondary be"
"Welcome to this beautiful condo in the tranquil community of Shadowridge! This unit has been tastfully upgraded with new soft close cabinets. The new granite counters in the kitchen and bath has a unique leather finish. You need to see how beautiful it is! Fresh paint, new flooring including tile and carpet means nothing left to do but move in! This charming condo located in the Shadowridge community is ready for a new owner to enjoy. Close to shopping, freeways and golf course! Come experience "
"Simply fabulous turnkey single level condo in Shadowridge Glen beckons you! Everything you see is less than 30 days old-Quartz kitchen counters, all Samsung SS appliances & Euro-chic white cabinetry encourage you to love entertaining from this classy kitchen! Both bathrooms-110% new! Laminate floors in main living area, cozy carpet in both BR's, ceramic tile in baths & kitchen. Stacked washer/dryer convey. 1-car detached garage steps away from condo. Cool colors chosen throughout reflect classy "
"Single story townhouse with open, light filled floor plan in highly desired Shadowridge Greens. Live just steps away from Shadowridge Country Club. Features include: open floor plan, vaulted ceilings, new carpet, freshly painted, gated front courtyard and private back patio/yard, large master suite w/ walk-in closet, over-sized 2 car garage , inside laundry room, plenty of storage, community pool & spa. Great location close to Shadowridge golf course, shopping and restaurants." "Wonderful neighborhood in Shadowridge. Backs to Shadowridge golf course & end of cul-de-sac location. Large spacious patio. Home has been refurbished with new kitchen, granite counters, new appliances & new cabinets, fresh paint & wide base, new electrical & ceiling fans. Spacious kitchen with breakfast area. Recessed lighting in kitchen & baths. Mirror closet doors in both bedrooms. Centrally located to shopping, walking trails & golf course. Wonderful place to call home." "This beautiful single level home in the desirable community of Shadowridge Greens is ready to move in. An end unit with newly painted walls, cabinets, doors and baseboards and new plush carpet just installed. Many upgrades make this a beautiful home. The kitchen has granite counter tops, stainless steel appliances, newly painted white cabinets with glass doors and wood floors. Shutters on all the windows, brick fireplace, vaulted ceilings and open floor plan make this a wonderful home." "Welcome to the coveted Cottages neighborhood in Shadowridge. Make yourself at home in this light and bright single story 2 Bedroom, 2 Bathroom home featuring a completely remodeled farmhouse kitchen, updated bathrooms, wood like tile floors throughout, new lighting, new AC and Furnace, new water heater, new windows, vaulted ceilings, reverse osmosis, and low maintenance landscaping. Live comfortably in your open living spaces and private backyard within walking distance to the Shadowridge Golf C"
"A Treasured Gem located in a highly sought out community in prestigious Shadowridge. Exceptionally beautiful single story home. The spacious open floor plan with vaulted ceilings and large windows provide a bright and cheery ambiance. 2 bdrm, 2 bath & office/den. Freshly painted, upgraded kitchen and bathrooms. The back patio provides a private sancutary of outdoor relaxation with stunning golf course views. Easy walk to the Shadowridge Country Club. Be sure to see the Virtual Tour. See suppl"
"Fabulous home nestled within the prestigious Tuscany development of Shadowridge community. Popular floor plan boasts bright and open entry with vaulted ceilings. 4 bedroom 2.5 bath, new dark laminate wood flooring, new custom tone paint, Corian countertops in kitchen and all baths. Large private backyard with great potential. Community pool just steps away . Low HOA, no mello-roos. Close to Shadowridge Country Club, golf course, schools, shopping, restaurant, beach and more. Easy access to 78." 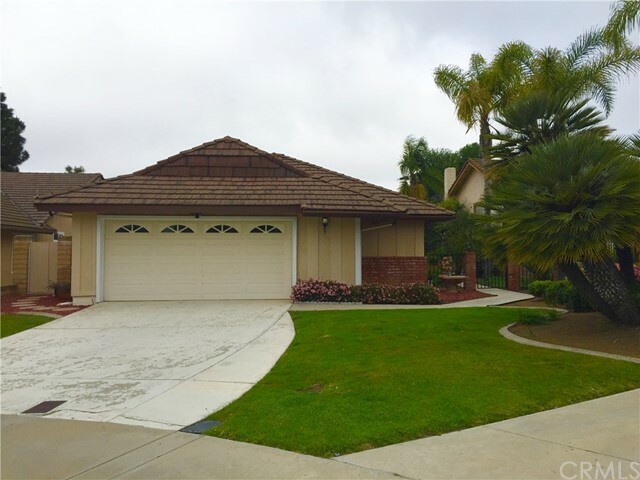 "Extensively remodeled into Modern Showcase.Highly coveted area of Shadowridge bordering Carlsbad on golf course. Private,Single Family, Single Level,Approx.1000 sq.ft. w/2 beds+2 full baths+attached 2 car garage. Modern European Kitchen w/Quartz Calacutta counter-tops & New Samsung +Frigidaire Appl. Vaulted Ceilings,Modern Marble tile Calacutta Fireplace.Stylish baths w/floor to ceiling tiles, new vanities +new plumbing fixtures.Constant Ocean breezes.Low HOA's @ $ 120.per month,Walk to pool. Mu"
"This SINGLE STORY HOME is located on one of the MOST DESIRABLE CULDESACS in SHADOWRIDGE!!! PANORAMIC VIEWS of Shadowridge Golfcourse and perfectly situated on the 11th TEE BOX! BEAUTIFULLY LANDSCAPED both in the FRONT & BACK!!! The Main Living Area is COMPLETELY WIDE OPEN giving it a LARGE SPACIOUS FEEL! The Home has 3 bedrooms and 2 baths with high vaulted ceilings in the living room! Double Door Entry! NEW A/C Recently Installed! It is ready for someone to come in and make it their own! Close "
"Recently remodeled kitchen. New interior paint." "Move in Ready! 4 Bedroom home in Shadowridge! First Floor Bed/Bath! Hand Scraped hardwood floors throughout. Cathedral Ceilings, Master Retreat with Fireplace & Master Bath w/ soaking tub & separate shower. Kitchen has s/s appliances, quartz counter tops, & soft touch drawers. Open & airy w/ neutral paint, updated & modern fixtures. Plantation Shutters! Private Pool & Spa in resort style backyard. Artificial turf w/ beautiful landscape. HOA only 32.00! Cul-de-sac location- home backs up to Thibo"
"Welcome home to this beautiful Move-In-Ready Pool Home located in the highly desirable Shadowridge community in Vista. Upon entering, you re greeted by a wonderful open floor plan showcasing vaulted ceilings and an open stairway. The spacious kitchen has plenty of room to entertain friends and family. This home also features shutters through-out the home, granite countertops, travertine floors, stainless steel appliances, an electric fireplace and tiled shower. The Master bedroom "